Is possibile to edit postbit spaces on user profile and see them on forum when you or users writes? 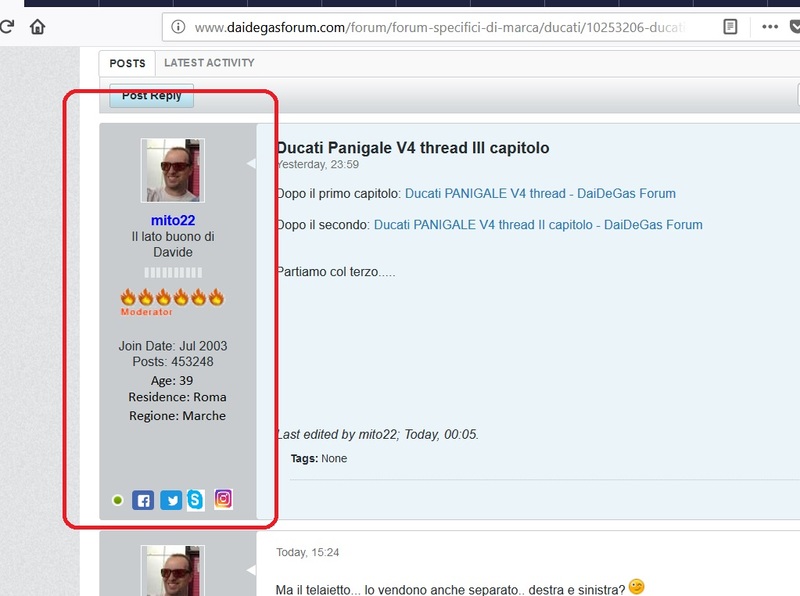 But put age, residence and region (here in italy we got 21 regions, also to select from a list)... and bottom.... have 4 icons... facebook twitter skype and instagram... were the user can specify the link of his social profile.... and if another user want to visit it... he can click on the icon of interest? There is a Jira to have an option to add more. How to add flags to the profiles? Hello, I tried adding a new profile field with flags of countries but not to work me, as I can accomplish this?